Are you a boomer or Gen Xer who wants to start a business? Do you wonder if you have what it takes to make it happen? Could you use some insights and encouragement from others who became successful entrepreneurs later in life? 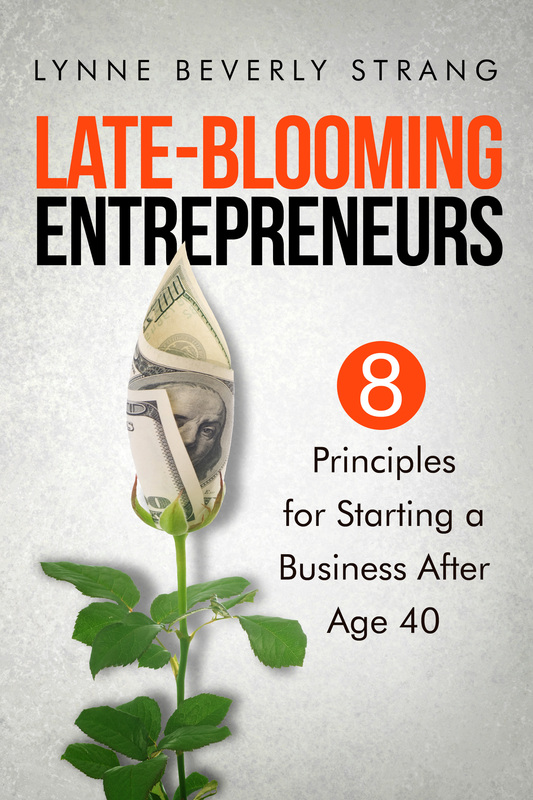 Late-Blooming Entrepreneurs: Eight Principles for Starting a Business after Age 40 features dozens of 40-and-older entrepreneurs, including some who were first introduced on this blog. They’ll tell you, in their own words, about the ups and downs of owning a business and what enabled them to succeed. Late-Blooming Entrepreneurs: Eight Principles for Starting a Business after Age 40 shows why the second half of life can be the right time to start a business. This easy, conversational read delivers a healthy dose of inspiration — and leaves you with the belief that you’re never too old to go after what you want. Don’t wait. Grab your copy today from one of these outlets. “It’s never too late to start your own business. Strang’s dozens of interviews with boomer entrepreneurs identified eight common threads”…. (read the full review here). — Len Forkas, Founder and President, Milestone Communications, Inc.